This is it, the end of my journey here at St Pius X Catholic school. It has been a very wicked journey to have shared with several others, yes I've had my ups and my downs with other students ... yes I've made mistakes and bad decisions but that's all in the past, like people say "Learn from your mistakes." I can say that in terms of my learning I have learnt a lot from here .... for three years I have managed to forgive and forget, to let the past be the past, to live the present and hope for the best in my future. I can say that in al subjects of learning I have made progress as the years come and go. I have managed to set my learning goals and put all my effort into achieving them all, Although this school has been hard for me to fit in I managed to just pick myself up each time I fell with my head high and my chin up, It'll be sad to leave this school with all the people who were once close with. Over these past three years I can say that I will leave this school with good and memories worth being remembered. This year is just the end of the chapter and next year will be the start of a bright and going forth chapter. Wishing myself all the best for my college years yet to come. prepared a activity for us to work with our Soul Friends and become more active with them. So this activity was Decorating Cookie's. 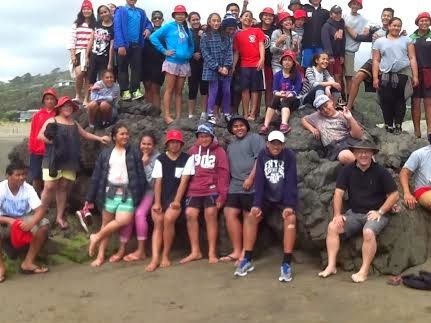 This is my WeVideo on my time at Piha Mill where the year 7 and 8's stayed for our camp. To me having time away from home and school and going out into the world was such a wicked experience. Having to be put into groups with several people who aren't use too and coming back to school like we're all one big family was just great. 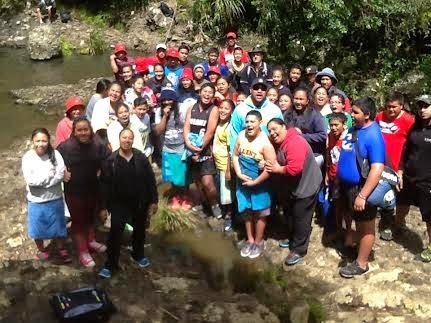 I loved every single second...minute and hour spent at Piha Mill Camp Site. Camp was just incredible. This is my move note on The Roots Activity we took part on. Today the whole of St Pius X had the chance to be part of the Sculpture being put together by The Roots, it was called the WAVE which was going to be put up by the Viaduct by the Water Front. 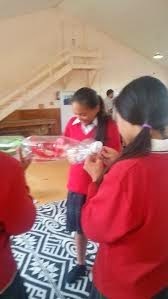 It went class by class putting each and everyone of our students art work into clear bottles which the Wave was going to be made up of. The Wave is going to be put up with a whole lot of our artwork inside it, it took up to 4,500 students to be part of it and our school was selected to be part of it. It was a whole lot of fun although it did not take that much time. 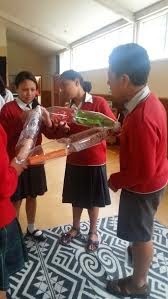 Doing this activity we were supported by several members of The Roots....... One of the ladies that were there was quiet a joker, she was hilarious with the way she spoke and the body language she used. She used me as an demonstration and she scared the living daylights out of me. I found doing that and being a part of it fun and enjoyable. The Saint I have chosen to do was St Francis Of Assisi. At then end of the power point I had put in MY prayer to St Francis. In this move note it is me and a class mate talking about the lock down drill. During the middle block the whole of our school had a lock down drill.